The Commercial Bank of Ceylon, recently won five awards, four from the World CSR Congress at the Sri Lanka CSR Awards 2018, and one from CMO Asia at the Golden Globe Tigers Awards 2018, at the same event. 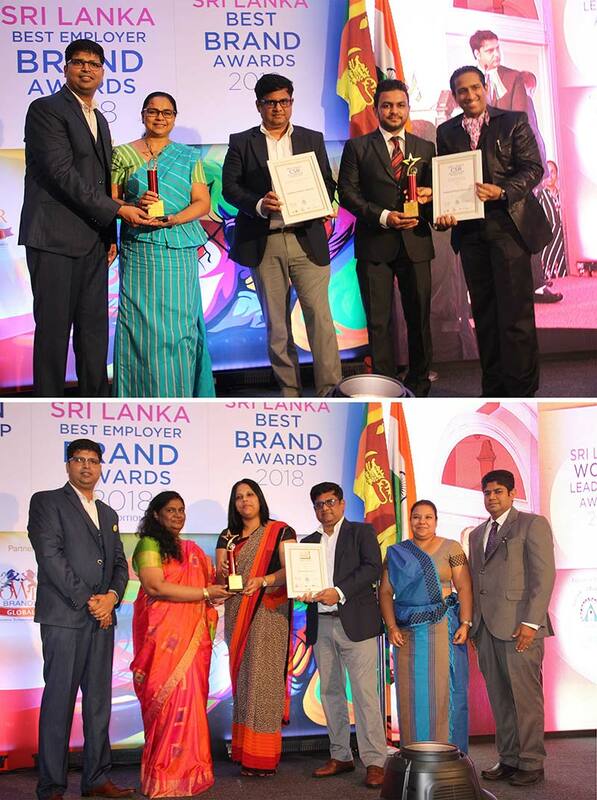 The Bank was presented the awards for ‘Best Corporate Social Responsibility Practices,’ ‘Support and improvement in quality of education,’ ‘Developing sustainable strategies’ and ‘Concern for health’ at the Sri Lanka CSR Awards; and honoured with the Brand Leadership Award in the Banking category by CMO Asia. The award for ‘Support and improvement in quality of education,’ recognises the Bank’s initiatives in the field of education. Over the years, the Bank has made an immense contribution towards the Sri Lankan education system by donating over 175 IT laboratories to needy schools, awarding of scholarships to 350 undergraduates, launching the revolutionary online learning platform “Sipnena,’ initiating a math lab programme, sponsoring vocational training through career guidance units, providing English language training for both students and teachers, and by partnering the “Smart Schools” initiative to transform the traditional classroom model. The Bank won the award for ‘Developing sustainable strategies’ for its success in interweaving sustainability with its business practices and for taking the initiative to reduce its carbon footprint through the establishment of Green Banking Channels, comprehensive waste disposal systems, moving in to solar power and reduction of paper use through the digitization of processes. The award for ‘Concern for health’ was won for the Bank’s efforts in providing infrastructure and critical care equipment to over 50 children’s, maternity and general hospitals owned by the government. Improving antenatal, neonatal and paediatric healthcare facilities has been the focus of these efforts. The Bank’s health related CSR initiatives also encompass supporting initiatives and research for the prevention of chronic kidney disease (CKDu). The Bank was also awarded the Brand Leadership Award in the Banking category for its leadership amongst the private banks in Sri Lanka by maintaining the highest market capitalisation, gross income, operating income, profit before and after tax, total assets, total deposits, gross loans, market share of deposits, market share of loans, and best CASA ratio. CMO Asia is dedicated to high level knowledge exchange through leadership and networking amongst senior CMOs and brand decision makers across industry segments. The Golden Globe Tigers Awards recognises achievers, super achievers and future business leaders by rewarding their ability to steer businesses through turbulent times, and applying the best of business modules to manage and keep their missions afloat. The Awards further recognise continuing commitment to excellence and the designing of best practices and innovative strategies.